We’re often so caught up in the relief and excitement of being promoted to manager that we completely miss one important fact — that we have accepted an entirely different job. Being a people manager, especially a good one, requires a whole host of skills that we may not have been exposed to in our previous roles. On top of that, because it’s so often treated as a reward vs. a new job, companies don’t always put an effort into training their new managers. Certainly, time and budget constraints play a role. But the reality is, most companies don’t know how to train managers to tackle the challenges of today’s ever-changing, dynamic work environment. So how do you set yourself up for success if you’ve already signed up for this role? Read these tips to improve your odds. Embrace that you have a new job. Most likely you were tapped to be a people manager because you are good at what you do. You may even have demonstrated leadership capabilities and dabbled in coaching. People may see you as the go-to person when things get wonky. Those are all good experiences to have under your belt. But dabbling in something and being accountable for other people’s performance are hugely different, with the latter coming with a new level of responsibility and pressure. Those who fully embrace the fact that the rules have changed for them tend to be more curious, open and learning-focused than those who assume their subject matter expertise and talent for giving direction will carry them to success. Get the basics down. Astonishingly, most managers I talk to report having received zip from their companies in terms of basic training around managing others. If this is you, it’s natural to rely on emulating what you liked — and avoiding what you didn’t — about some of your previous managers. And, honestly, that’s not a completely ineffective strategy. But when you respect the level of responsibility you’ve accepted, why wouldn’t you spend a little time reviewing a few of the recent books, articles or podcasts on the topic? After all, we assume people in just about any other profession would Why wouldn’t a newly minted manager also need to spend some energy shoring up their skills? This means digging into the fundamentals behind such common skills as interviewing and hiring, delegation, career coaching, receiving and giving feedback, setting and driving strategy, change management … the list goes on and on. So you see why this is its own profession worthy of some focused study? Learn how to coach others. There’s the basics, and then there’s coaching. Coaching is so much more than the ability to hire people and tell them what to do. It’s the skill and deftness required to develop and guide just about anyone who might report to you. Managers who really understand how to grow their employees aren’t concerned about losing their talent to other opportunities. In fact, they pride themselves on “productive turnover,” meaning that their employees grow so much, so quickly under their leadership that they move on to their next career move relatively easily. This type of movement is not a threat to solid managers, who know they are in the business of developing and growing people and would rather do that — and lose a few to promotions — than buy talent off the shelf. Create and implement a management regimen. Let’s face it, there are more than a few ways to be a sloppy manager — playing favorites or slipping into “firefighting” mode being just a couple. 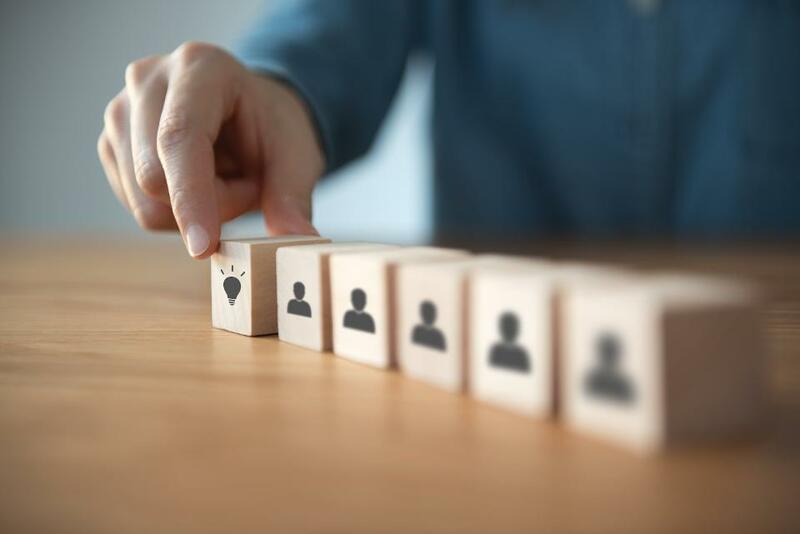 Having a management regime helps you stay objective about your staff’s capabilities and potential, as well as create some stability in an ever-changing work environment. Your “regimen” can be as simple as scheduled quarterly check-ins with each of your direct reports. This simple tactic ensures you’re looking for alignment with your staff throughout the year and provides you with regular opportunities to assess the bigger picture and identify patterns that are unfolding over time. I also like to add in an annual career discussion for every single direct report. I schedule these two months before or after any annual performance reviews to ensure I’m talking to all my team members, not just my high performers, about career goals. When you speak to everyone about the work they want to do and what motivates them, it increases engagement across the team and minimizes perceptions of favoritism. Foster a business owner’s mindset. Teach your staff how to empower themselves by reminding them that they are all business owners — and that you are their biggest customer. Just because they decided to set up shop under the bigger umbrella of another company doesn’t mean they need to sit around waiting to be told what to do. They should constantly be creating on behalf of their customer, and that includes you. This strategy exploits the power of delegation. You’re not just delegating work to your staff — you’re delegating ownership of its success. Of course, the customer always has the final say, but breaking down that top-down thinking invites a more collaborative and strategic way of working together. Develop a service model. If each employee is running his or her own business, then you are running a medium-sized business of your own. Bring the team together and determine the Why, How and What of your collective contributions to the company. This means clarifying values. Figure out what matters to the team and why. Then make those values actionable. What service standards will the team commit to for every customer, internal or external? At what pace will the work be done? How quickly should someone get a reply back? How will mistakes be handled? How will conflict be addressed? What should it feel like for anyone who connects with someone on the team? Addressing these questions will help level set performance expectations and ensure anyone who works with your team has a cohesive, top-notch experience. Focus on building for the future. With so much to do, it’s easy for your team members to get swallowed up by the day-to-day. It’s your job to keep this from happening, and that’s as easy as sharing your vision for the future. When you set a clear direction for where you expect the team to go, every request doesn’t have to feel like life or death. With a clearly articulated vision for the future (again, your job), it’s easier for your team to thoughtfully set their own priorities, rather than working toward the closest deadline or reacting to the highest-level person demanding something from them. When you’re running your department like a business, everyone will naturally shift to being proactive rather than reactive. So … get clear on the impact you want the team to make in the future (say, in one year) and align it with the goals of the company and your key stakeholders. Collect best practices for driving change. Most of us think we’re good at change, but what we’re actually good at is change we want. I have yet to meet a person who loves a change they don’t agree with. Helping people to process the barrage of changes most companies go through on a regular basis and still thrive is the hallmark of a highly skilled manager. Designing the new cultural strategy to support the tactical plan. Pulling off great change requires an innovative and practical mindset. You’ll need to be focused on the financial bottom line as well as the people side of the business. No doubt it’s an art form and a skill, but there’s a ton of great programs, books and articles available to shore up your skills. Understand the legal responsibilities of your role. This should be one of your highest priorities as a people manager. You now have certain legal implications to your job that didn’t exist before. How you speak to people matters. What you previously considered harmless joking could now be considered harassment. And what employees do under your watch also has legal implications for you and the company. Even those after-work drinks carry a risk that they didn’t when you were an individual contributor. A great way to get smart about all this is to read your employee handbook. I’m always amazed by how few new managers actually crack open their own company’s policy manual. Also, do some online research to learn about legal considerations of managers based on your country and state. Finally, build a partnership with your HR department. You can use your HR partners to help avoid problems, rather than just deal with them once they occur. Trust me … HR would rather get a dozen questions from you now than have to work with you on a lawsuit later! Take off your cape and collaborate. You don’t have to be the superhero manager who does and knows it all. Instead, build a network of managers who support one another. This gives you access to a sounding board when dealing with nuanced issues and in the end provides your employees with even more support. If your superpower is career coaching, then you can help other teams in that area. If one of your peers is great at mediating conflict, then maybe she can step in and help when an issue crops up on your team. This sort of collaboration also creates a more agile organization as a whole, especially when employees see that leadership works together rather than against one another. If you’ve recently taken on the role of a people manager, then congratulations are definitely in order. But not because you’ve been “promoted.” Because you have started a whole new career adventure that can be extremely rewarding and exciting. Best of luck, and remember: You got this! This article was written by H.V. MacArthur from Forbes and was legally licensed through the NewsCred publisher network. Please direct all licensing questions to legal@newscred.com. previous Toxic Leadership: Why Is It Still Allowed To Exist in the Workplace?